The Enclave at Forest Lakes is a new neighborhood on the western edge of Sarasota Springs, located just east of South Beneva Road and north of Webber Street. This community sits on a 24-acre site on the fringes of a revived golf course now known as the Palms Golf Club at Forest Lakes and again contributing market appeal to its nearby Sarasota homes for sale. Mattamy Homes, Canada’s biggest homebuilder, is the developer of the Enclave at Forest Lakes. 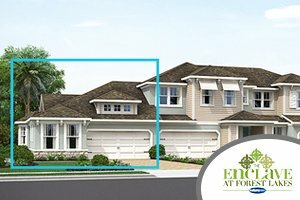 The homes for sale at the Enclave at Forest Lakes are all the result of meticulous design and planning. Mattamy’s experience of building more than 70,000 residences in hundreds of communities throughout the States and Canada is evident in this community. The developer platted the Enclave at Forest Lakes as a gated community of 160 multifamily residences designed within three-, four- and six-unit apartment buildings. Prospective buyers are offered choices here in either two-story townhouses or single-story villas. All of these builds feature contemporary architectural style and high quality construction. A villa in this community would typically have a two-bedroom and two-bath layout within a floor area of approximately 1,400–1,600 square feet. Expect price quotes starting from the high $200s for such basic open-format, one-story residence. 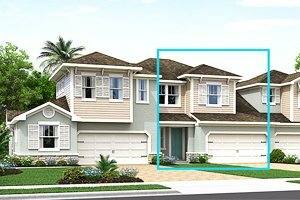 One villa model, the Captiva shown in the 2017 Manatee Sarasota Parade of Homes, offers an option to expand the floor space to 2,000-plus square feet. Primed to accommodate an additional second-level loft, bath and bedroom plus storage, pricing for this design levels up to the $300s. This particular design also provides a flex room, a master suite, spacious walk-in closet, gourmet kitchen and an open format allowing free flow between the living and dining areas. Other spacious options at the Enclave at Forest Lakes are its two-story townhouses which have floor areas starting from about 1,800 square feet designed with three bedrooms and three baths. Also featuring a first-floor master suite, these designs have starting prices in the $300s as well. Overall, this neighborhood exudes a pleasing ambience with the brick paver driveways and elegant exteriors of its villas and townhouses. Full exterior maintenance, including lawn care for the residences, further sweeten deals on homes for sale at the Enclave at Forest Lakes. This community, in addition, provides amenities on par with those found at older developments offering pre-owned Sarasota homes for sale. Besides its dog park, the common facilities at the Enclave at Forest Lakes include a resort-style pool with a cabana. The quality of living in this community is further enhanced by its neighboring links and other facilities in the 101-acre Palms Golf Club which are directly accessible from the Enclave at Forest Lakes. Opened in March 2016, the Club has an 8,500-square-foot clubhouse, cabanas, a pool, spa, restaurant, bar, outdoor deck and pro shop. 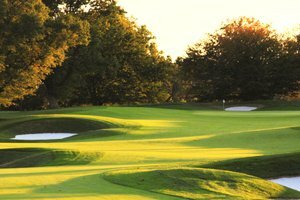 Its golf course has been redesigned, allowing a shorter par 64 play in its 18-hole layout consisting of eight par 4s, nine par 3s and one at par 5. The Club likewise provides a unique practice area in its custom aqua driving range, besides its regular chipping and putting greens. Convenient access to other life and leisure centers of Sarasota could likewise help wrap up a sale on a residence at the Enclave at Forest Lakes. Major road corridors around it, like Webber Street and Beneva Road, allow easy trips to such vibrant destinations as downtown Sarasota and Siesta Key. Below are the current real estate listings available at The Enclave at Forest Lakes.